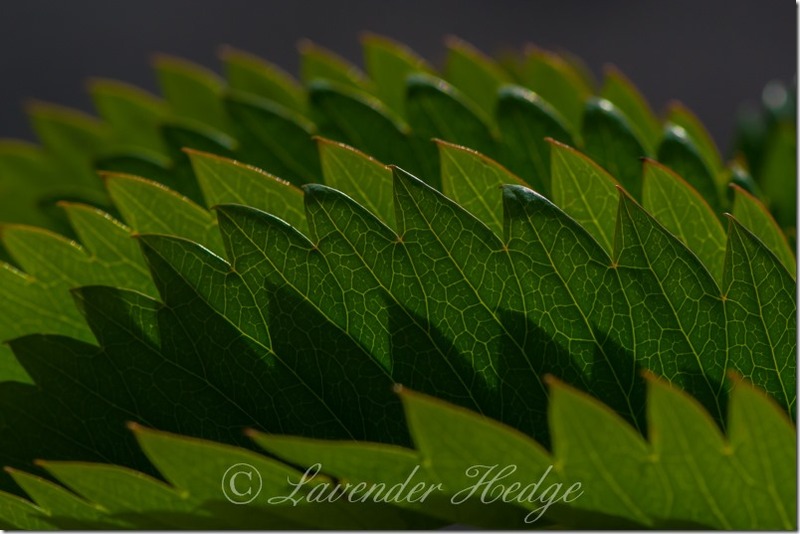 Leaf of Melianthus major, or Honey Bush. I grew this tender shrub from seed last year and because it has been so mild, it has survived the winter. Not only that but there is a flower bud! I have only seen the flower once before, on a previous plant I grew that didn’t survive several cold winters.